Chinese microblogging platform Sina Weibo has officially rolled out subscription-based accounts for verified users on its platform, letting fans subscribe to their favorite brands and celebrities to receive updates from them automatically, Sina Tech reports (hat/tip Tech in Asia). The Twitter-like service’s latest move gives brands and celebrities a way to connect with their fans, in turn driving engagement and keeping users onboard. Verified users can send their followers updates via direct messages — so fans won’t miss anything that has been sent. This comes amid fears that Sina Weibo is losing ground as it is being pressured by competition from messaging apps — in particular Tencent-owned WeChat, which already has public platforms for users to follow a particular account and receive updates accordingly. 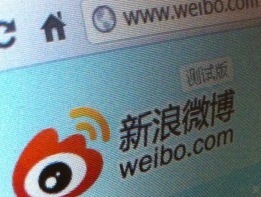 Sina says that so far, more than 60,000 users have signed up to use this new channel during its beta-testing stage.